We will be making six webTV programmes from the panel discussions and including interventions from our expert, invited audience. Topics include digitally-enabled social care, the shift to prevention, social prescribing, care services and market fragility, asset-based approaches to social care, outcomes based commissioning, integration of heath and social care services, information sharing across health and social care, use of data, and the citizen experience. The forthcoming Green paper on social care will be discussed! 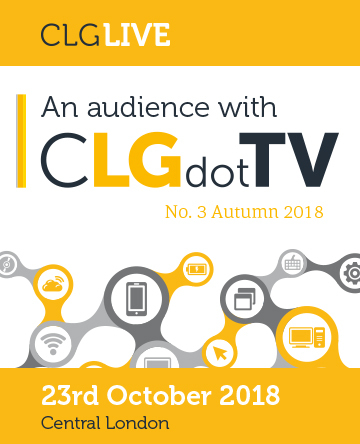 An audience with CLGdotTV - The Local Government Channel - takes place four times a year. We invite around 60 people (be #oneofthesixty) to share a day of making webTV programmes. 'Audiences with' offer creative stimulation, fabulous networking, the seeding of new collaborations, and several hours of online content viewable on-demand afterwards when conversations are shared with 12,000+ viewers via https://connectedlocalgovernment.tv/. No powerpoints - just peer to peer conversations accessible afterwards. Places in the audience are by invitation only. The only qualification is a passion for local public services and a keen interest in what citizens can expect in a digital age. Contact Ben Webber b.webber@boilerhouse.co.uk for more information. We meet at 58 Victoria Embankment (the NESTA building) two minutes walk from London Blackfriars Station in time for a 10.30am start and it's all over bar the handshakes by 4.30pm. Seats in the audience are very limited. Contact Ben Webber b.webber@boilerhouse.co.uk for more information.